Ahead of the friendly between Italy and England tonight at Wembley, looking back at the build-up to the Euro 2012 quarter-final reminds us of the complicated footballing history between the two nations. Italy's Daniele De Rossi, amid the battery of Mario Balotelli questions, gave perhaps the most telling response to how Italy felt going into their quarter-final match against England in Kiev on Sunday: "It would have been better to have played Ukraine, but it's okay like this as well." That Italy would have preferred, with all due respect, Ukraine to have gotten through is obvious, but I think they would have preferred playing France to England as well, and this despite Les Bleus having brought so much pain to Italy in World Cup 1998 and acutely in Euro2000. 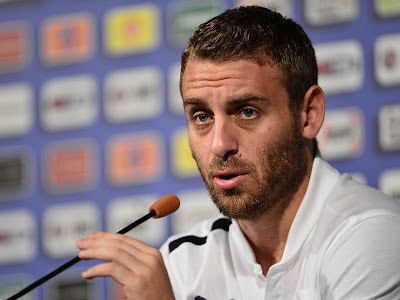 Even if De Rossi had been all bravado in front of the media, it would have been a hollow performance, beyond the tiring platitude of press conference in football. Unmistakably, Italy are distinctly uneasy about playing England. While English opinion has, for not an insignificant part, been impervious to Italy's successes, operating in an obsolete currency that still circulates notions like Italy play defensive and cynical football, Italian opinion of English football can be frayed at times by the pressure of the occasion, but at the core is built on an almost fearful respect. Sure, Paolo Di Canio may have said that Roy Hodgson's men remind him of an "Italian team of the 80s," but he was not suggesting that England have regressed. If anything, Italy know that this England team has teeth: Hodgson has predicated a revival of spirit and self-belief on Fabio Capello's organization. At times this organizational form has threatened to disintegrate in this tournament, most notably against Sweden, but it remains intact. But quite apart from how England "set out" in a game, there exists in traces a cultural deference in Italy for English football and its players. "[Steven] Gerrard remains my idol," said De Rossi. Considering De Rossi is only three years Gerrard's junior and a World Cup winner, I found the praise a bit exaggerated. There is a historical precedent for this kind of flattery, a precedent that was rooted in a clear dislike for the English as well. 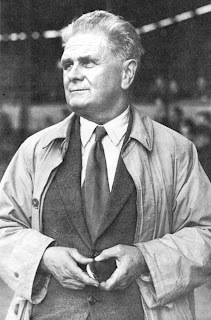 In the 1930s, Italy were crowned World Champions twice under the aptly named Vittorio Pozzo. However, there remained a need to vanquish the creators of the sport, the team who were considered superior despite having not entered any of the World Cups during the 1930s. England were still seen by the English themselves, and to be fair, by many others, as the best team in the world. And of course, politically this need to vanquish the English was also rooted in Fascist ideology that depicted them as "imperialists and gluttons" (Foot, Calcio, 479). One of the most high-profile matches between Italy and England during this time took place on November 14, 1934. Italy were the reigning World Champions but the game was seen, in the words of John Foot, as being the proper "deciding play-off": "The winner of the game would be declared--unofficially--as the best team on the planet" (Foot, Calcio, 479). Italy lost the game 3-2, but it hardly matters now in the broader calculus of superiority, in which there is absolutely no contest: Italy have won four World Cups to England's one, and one European Championship to England's zero. At club level too, despite the bellowing of Liverpool and Manchester United fans, not one English club has seized Europe the way Il Grande Milan did in the late 80s and early 90s. Yet, currently, the Premier League remains the pinnacle of modernity, with only the German Bundesliga rivalling it for commercial power. Serie A, on the other hand, has been plagued by scandal, financial mismanagement, dilapidated stadia, and racism. On the field, however, notwithstanding the fragmentation around it, Italian football remains singularly clear on the importance of success. English clubs, though, have always presented huge troubles for Italy in Europe--not just on the field either. The Heysel Tragedy of 1985 remains a plaintive and infuriating chapter for Italian football fans, specifically those of Juventus. The thirty-three Juventus and six Liverpool fans who were smothered to their death as a result of English hooligans inundating a section containing Juve fans always tartly contributes to the narrative of Italy and England. On the field, there is of course the heartbreak of Roma and Milan losing to Liverpool in the European Cup finals of 1984 and 2005, and, most recently, Milan having trouble with English opposition between 2008 and 2011, during which time they were eliminated from the Champions League by Manchester United, Arsenal, and Tottenham. 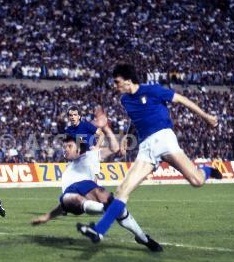 While Italian clubs have indeed recorded memorable victories over English ones in Europe (Milan defeating Manchester United and Liverpool to 2007 glory, and Napoli, most recently, gliding past Manchester City), there is a tendency to believe that English football has the requisite antidote to the Italian game: an athleticism, a sense of width that troubles Italian teams. But international football is not the cumulative expression of club football. Success in it depends on psychology and many tactical choices based on pressures of time, and both Italy and England have had a frenzied build-up to the tournament. England had a managerial reshuffle with Capello making room for Hodgson, while Italy had to deal with the scandal that saw their valued left-back Domenico Criscito sent home. The Azzurri may have some apprehension going into the game tomorrow, but they know they have what it takes, in theory, to beat England in a proper tournament. The third-placed play-off in World Cup 1990, while memorable, was an afterthought, and Italy's last victory over England in a tournament before that came thirty-two years ago in the 1980 European Championships when Marco Tardelli gave them a 1-0 victory. Italy and England have only played twice in major tournaments, which lends a mystique to the quarter-final on Sunday. Given the success Italy have had over England internationally, their apprehension may seem misplaced. Sunday will be a psychological tussle between two teams who have a lot of history around them, but only a bit of competitive history between them, directly on the field. It is this familiar unfamiliarity that colours this contest unpredictably. Ludicrously, despite their high-profile, England remain a bit of an unknown quantity for Italy, and vice-versa, but I get the feeling, based not on empirical reality but my own unscientific hunch, that England can accommodate that unfamiliarity by the strength of their own conviction (I still don't believe that this accommodation will lead to an English victory by any means). I have read, on more than one occasion, that Italy are not a real threat to this English team, and the fact that Spain were avoided is a cause for understated celebration. Certainly, on paper, Italy appear to be a more manageable opponent than the reigning World and European Champions, but it is precisely paper that cannot contain or define this game. To me, Italy and England on Sunday is still an unknown, which makes it intriguing, but also frightening. That was kind of biased...the two before me must've been british.